Cavalier Medical (Rego Park) - Book Appointment Online! 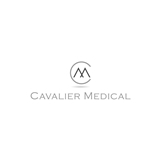 Cavalier Medical is a family-owned and operated practice located in Rego Park, NY. Since 2001, we have offered friendly, professional, and comprehensive medical services to members of our community. Our providers are highly trained specialists who have a passion for a personalized medical approach. We are committed to our patients to deliver truly outstanding care!